The Transformers franchise is five films in, but the explosive series doesn’t seem ready to call it quits just yet. Next week, the series will see its new film Transformers: The Last Knight bust into theaters, and the feature will mark director Michael Bay’s final hurrah with the series. Over the years, the action-centric director has had the chance to explore unmarked territory with the Hasbro franchise. And, now, Bay admits he would like to see the Transformers get a R-rated installment. During a recent interview with Fandango, Bay opened up about his final outing with Transformers, and it was there the director said he’d love a grittier take. 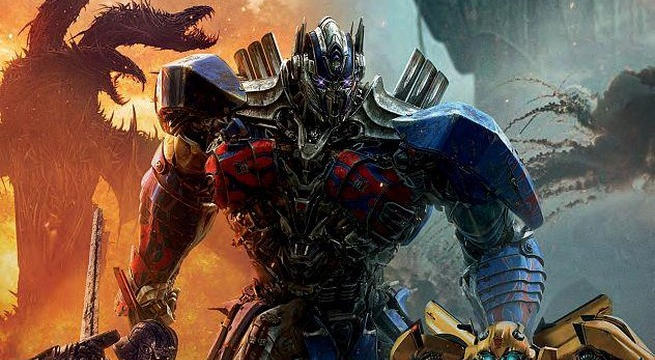 For older fans, the idea of a R-rated Transformers flick is certainly interesting. The first film of the series premiered back in 2007, leaving Transformers to mark its tenth anniversary this year. Youngers fans who sat in for the original Transformers film are old enough now to buy into a restricted film based on the autobots. Much like Logan, Transformers could bank on in on an aging audience in the near future if the right story presented itself. In the past, Bay said he has been given a R-rated pitch for Transformers. The director told Collider he was pitched a dark take for the spinoff Bumblebee prequel that is currently in development. In Transformers: The Last Knight, humans are at war with the Transformers, and Optimus Prime is gone. The key to saving the future lies buried in the secrets of the past and the hidden history of Transformers on Earth. Now, it's up to the unlikely alliance of Cade Yeager (Mark Wahlberg), Bumblebee, an English lord (Anthony Hopkins) and an Oxford professor (Laura Haddock) to save the world. Transformers: The Last Knight is directed by Michael Bay. The film stars Mark Wahlberg and Stanley Tucci reprising their roles from Transformers: Age of Extinction, with Josh Duhamel, Tyrese Gibson and John Turturro reprising roles from the first three Transformers movies. Transformers: The Last Knight opens in theaters on June 21, 2017.